J Records was an American major record label owned and operated by Sony Music Entertainment, and was distributed through the RCA Music Group. The label was founded in 2000 and was dissolved into RCA Records in 2011. 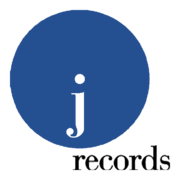 J Records was founded in 2000 by industry veteran Clive Davis with $150 million in financing from BMG, after his ousting from Arista Records the same year, and initially operated as an independently managed company distributed through BMG. Olivia was the first artist to sign to J Records, but was later dropped due to poor album sales. In 2001, the label found success with its multi-platinum record inaugural release, Songs in A Minor, the debut album of Alicia Keys, which sold over 12 million copies worldwide. The same year, Lyric signed to the label and became the first female group act under J Records. By late 2001, J Records attained another success with the platinum-selling debut album by O-Town. Later, established artists like D'Angelo, Luther Vandross, Jamie Foxx, and Monica would join the J roster, the latter three going on to find multi-platinum success with the label. In 2002, BMG bought a majority stake in the label. The same year, J Records began functioning under the RCA Music Group, where Davis had been appointed president and CEO, and signed American Idol winners Fantasia and Ruben Studdard. In August 2005, J Records' operations were merged with Arista Records, although both labels continued to release their own product. During the summer of 2011, RCA Music Group underwent a restructuring which shuttered J along with sister labels Jive and Arista on October 7, 2011. RCA Records will now start releasing all RCA Music Group releases under RCA Records. ↑ "Clive Davis signs Lyric as his first female trio to J Records". Chicago Defender. HighBeam Research. December 28, 2002. Retrieved April 7, 2013.